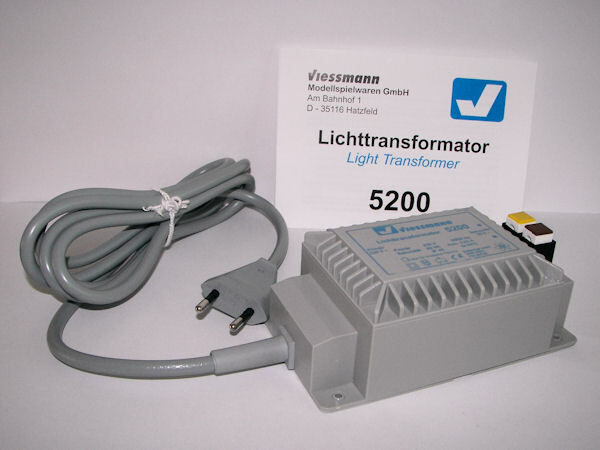 This Viessmann light transformer is used to supply power to the lighting on my diorama. The transformer is firmly packed in a cardboard box printed with trhe main features and specifications. Apart from the transformer the box contains a manual in German and English. With an output power of 52 VA @ 16 V (AC) the transformer supplies enough current to power some 100 lights. Striking to the transformer is that the plastic housing is completely closed, without any ventilation openings as you may expect on a transformer. 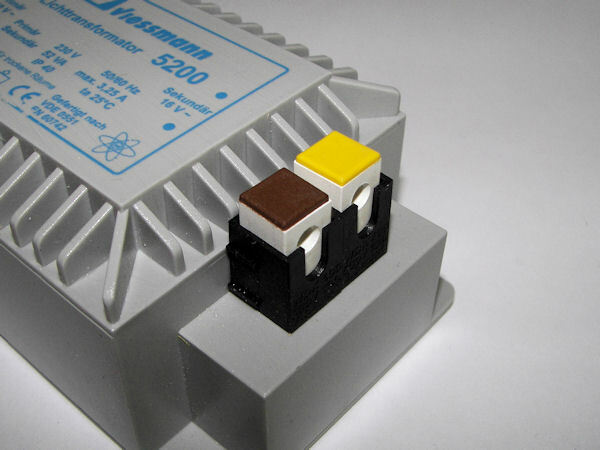 The outlet of the transformer is equipped with terminal clips. The connection of the cables is therefor simple: just press the clip, insert the cable and you're done. 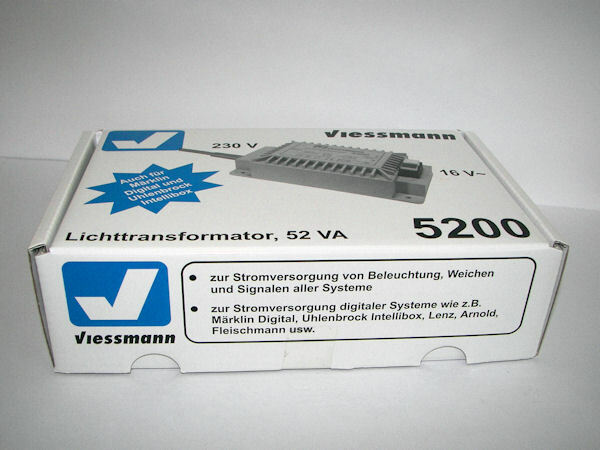 The Viessmann 5200 is an AC transformer. 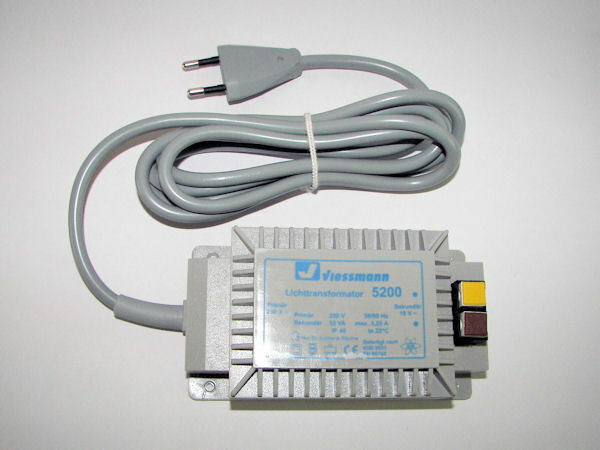 To use it with LED lights (like the floodlights elsewhere on this website) an extra powermodule is needed to prevent the LED from flickering.